Maybe the reason so many watercolour paintings are pale and insipid is that we tend to say WATERcolour and not waterCOLOUR. In the quest for exciting, bright, vibrant, intense, emotional colour, water is not your friend. Pigment is. It is all about how much water is in the reservoir of the brush – the ‘fat’ part by the ferrule. 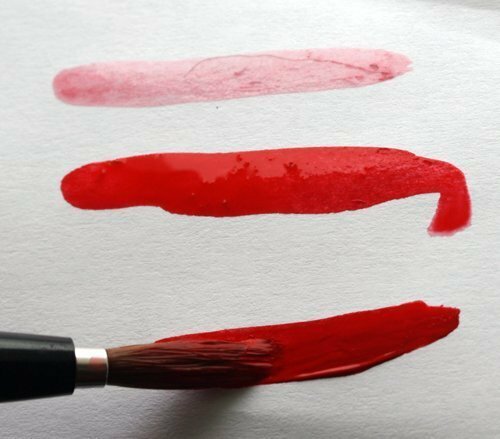 If the reservoir is loaded to its maximum with water, no matter how you try to paint an intense pigment color on you paper the brush will unload the water diluting the pigment. 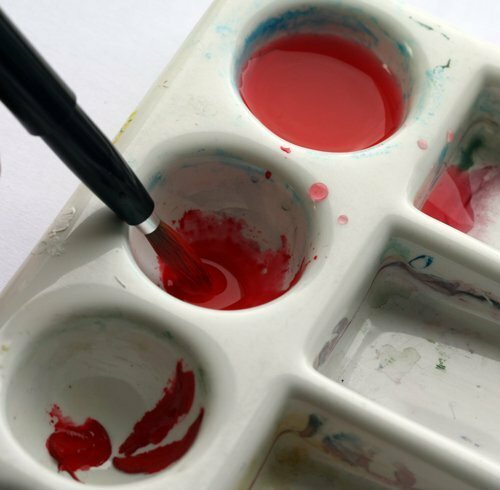 So it is important to test loading the brush with water then pigment to get the desired effect, intense – watery and every value in between. Be in control of the brush, do not let it control you. This is a crucial aspect of watercolour that you taught me, along with the never-forgotten tip of pulling out water from the ferrule side with paper towel.